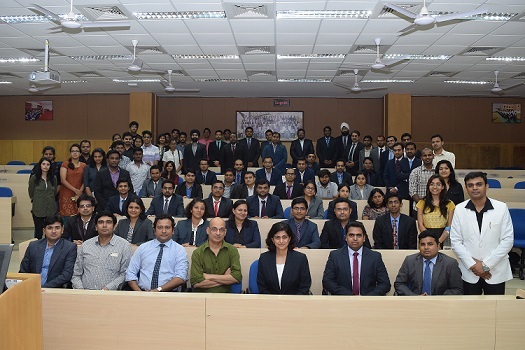 As a part of EPGP iKON Guest Lecture Series, Ms. Delna Avari, Consultant, Mentor and Former Head of Marketing at Tata Motors; delivered a talk on ‘Define Your Brand or Someone Else Will’ on July 8, 2017. The talk revolved around building and sustaining a brand. Ms. Avari emphasized that every great product has several knockoffs – but the difference is, one can’t knock off a brand. One can’t knock off a great story. She mentioned that brands are built subliminally by intangibles. While decoding brands, Ms. Avari stressed upon the fact that brand is an organization function and not a marketing function in isolation. She insisted that shoppers are doing more research than ever and mentioned about the 24 research points on an average. Brand core plays a vital role in order to ‘define your own brand or someone else will’, she said. Ms. Avari also discussed about the various aspects that affect the core; legacy, tangible & intangible features, value system, competition and consumer insight. She also insisted that brand core must clear the test of seven layered lens. She highlighted that studies have shown that brand loyalty drives up to 70% of purchase decisions and that customers are ready to pay up to 20% premium for their brand choice. 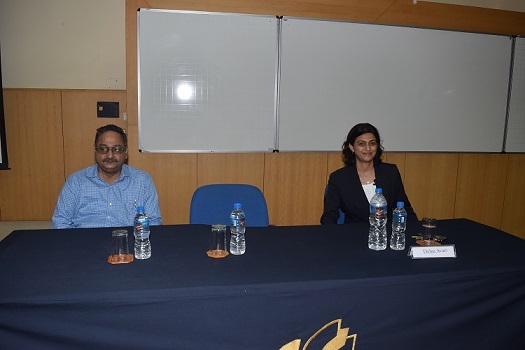 Ms. Avari gave many examples of her marketing experiences at Tata Motors including the ‘Fantastico” experience of signing up Lionel Messi as the brand ambassador. She also shared many experiences of the startups that she is mentoring currently. 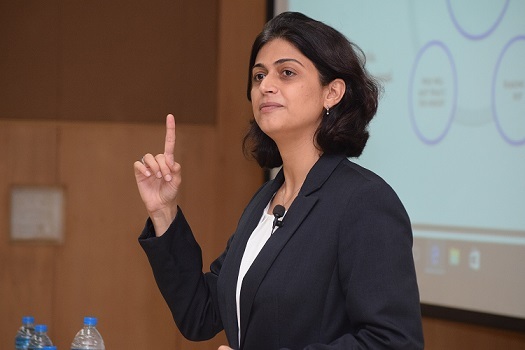 Ms. Avari concluded her talks invoking the future roadmap such as creating more immersive consumer experiences, rise of augmented reality and virtual reality, increasing complexity of purchase decision, role of authentic content, big data management, and interplay between traditional and non-traditional marketing. The talk saw a full house and concluded with participants asking many questions in the Q&A session.